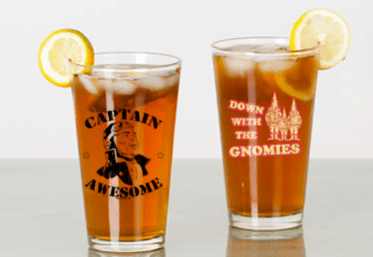 Homebrewers gift guide 2014 | Because beer. Homebrewers are easy to buy for, right? All we want is brewing gear! Well, that’s not so easy for someone who lives with/loves/is married to a brewer, but isn’t a brewer themselves. Also, some people have pretty bad cases of gear acquisition syndrome, and they shouldn’t really be given any more stainless steel tanks or kegerators. This list has lots of small things and big things, cheap things and expensive things. Regardless of if it is a birthday, christmas, or “just because,” these gifts will be sure to put a smile on your homebrewers face. The list is roughly arranged in increasing value. Click on the headline type or the photo to link to the product. Men love steel. I think most women homebrewers do as well. It’s practically required! Either way this is a fun and functional way to open up a bottle of beer. Wall bottle opener with magnetic cap catcher. Every time the magnet catches a cap, a homebrewer gets his wings. You can cap many more sizes and shapes of bottles with this. Nothing makes me sadder than having to toss out a bottle because my hand capper just couldn’t get a good seal on it. This magazine is really good. They have articles on interesting techniques, recipes, and ingredients. Same as above. Good articles, good ideas for new brews, and great beer reviews. Beer of the month club. Admittedly, this isn’t the cheapest way to get beer at home, but it will allow you to get some beers that aren’t normally distributed to your area. Look around for coupons, or better deals. Generally these run $3-$4 a beer, so they’re still cheaper than buying beers at the bar! These ones are reusable, but there are other sites that’ll custom print good old paper labels for you. Nothing makes a brewer feel like their beer is big-time more than a branded pint glass. Cafepress has a lot of options, and if your design is nice enough you can sell it on their site as well! This little guy looks like a small keg, can withstand bottle carbing pressures, and will definitely turn some heads at the next homebrew club meeting. I fill it at bottling time and always have a growler ready to go. This system will ket you put a 6 Liter ‘keg’ in your fridge and have draft beer. It’s cheaper than a full kegerator system, and generally more allowable by your significant other. One note on this is that it is definitely a compromise over a full size kegging system, but it’s the right compromise for some people. Does your brewer currently brew extract but wants so move into all-grain brewing? This bag can be the first easy step! BIAB stands for Brew In A Bag and it’s basically using a big bag of grains like a teabag. For a lot of homebrewers it can be fun to go to one of these and brew on a bigger system, or to have someone around that you can ask all of those burning questions. It also means that the kitchen won’t end up sticky! LHBS are the lifeblood of this community and they often get cut out once someone starts buying online. They are usually full of patient, bearded men and it’s always a good idea to buy local. Some brewers don’t have a local shop, or their local shop is bad. Here are three great online shops that have good prices, selection, and will all answer your questions in you are unsure about a product. 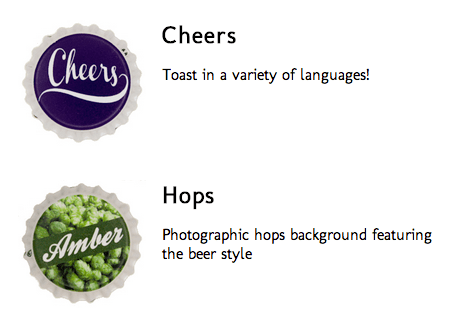 The ideas below start to get into the “You’ve been a very good brewer” category. They cost more and generally require a bit of space as well. They aren’t absolutely required in order to make good beer, but they will definitely help in the production and serving of that beer. A mini fridge is the first step up because it allows a brewer to do one of 2 things: They can control the fermentation temperatures or they could make a kegerator out of it. Controlling fermentation temp control is good because it results in cleaner, more reproducible brews. Kegging is easier than bottling because you only fill one thing as opposed to 50 bottles. If you buy a mini fridge for use as a kegerator then you’ll need to buy some more equipment to handle the beer dispensing part. That’s further down this page. This little dohickey will let you use a fridge or a freezer as a kegerator, and give you much tighter control over the temperature. Fridges and freezers generally fluctuate up and down by quite a large amount. This controller smoothes that fluctuation out. This kit will let you convert a fridge, or mini fridge into a kegerator. It is all of the beer dispensing equipment that you will need. Be sure to add a co2 bottle in the pulldown or else you’ll end up all dressed up with no place to go. If you want more explanation on what it all does, check out my post on the best entry level kegging setup. If you’re confused after all of that. Send me a message. Seriously. Some people aren’t the DIY type and they prefer to BIY (Buy It Yourself) This is a great way to get started without having to get your hands dirty. Most of these are set up to dispense commercial beer, not homebrew but they can be easily modified to work with a homebrew keg.